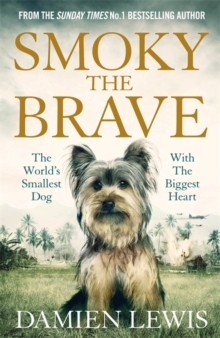 'A humbling, inspiring account of some of the real founders of modern day Special Forces soldiering' Bear GryllsPraise for Sunday Times No.1 bestselling author Damien Lewis' SAS mission series:'One of the great untold stories of WWII' - Bear Grylls on SAS Ghost Patrol'A tale of bravery against desperate odds' - Sunday Times on Churchill's Secret Warriors'True adventures laced with staggering bravery and sacrifice' - Sun on Hunting the Nazi BombSAS Nazi Hunters is the incredible, hitherto untold story of the most secret chapter in the SAS's history. Officially, the world's most elite special forces unit was dissolved at the end of the Second World War, and not reactivated until the 1950s. Among their last actions was a disastrous commando raid into occupied France in 1944, which ended in the capture,torture and execution of 31 soldiers. 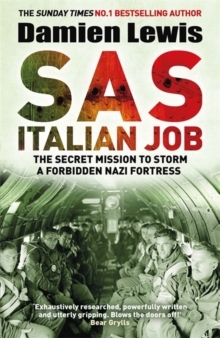 It can now be revealed that the SAS never was dissolved: it lived on, commanded personally by Churchill and hidden even from the British government. 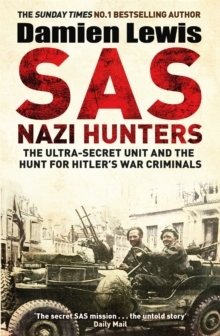 They were tasked with hunting through the ruins of the Reich for the SS commanders responsible for the murder of their comrades, including many who had escaped the failed justice of the Nuremberg trials. Along the way, they discovered before anyone else the full horror of Hitler's regime, and the growing threat from Stalin's Russia. 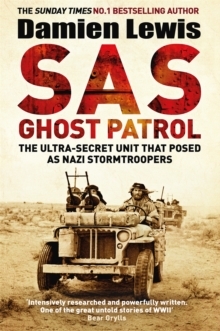 Still studied by the SAS today and a central part of their founding myth, the story of the Nazi hunters is now told by bestselling author Damien Lewis.